It can be difficult to detect when animals are feeling pain: after all, they can’t show us where it hurts or explain the type of pain, however signs like whimpering and panting can tell you something’s up. The last thing you want is your beloved pup suffering, but this desire to soothe your pet’s pain can lead to accidental poisoning. Bottom line: Human medicines like ibuprofen and acetaminophen are not designed for dogs and should never be given without a veterinarian’s approval. Never give your pet any medication or supplement without first consulting a licensed veterinary professional. Pet parent DeeDee experienced the horrors of ibuprofen poisoning when her two-year-old Goldendoodle Bentley ingested an unknown amount of the drug. “It was a horrible time in our family’s life,” she said on Dr. Doug Kenney’s “Pet Insurance Guide” podcast. Bentley ended up with kidney failure and spent two days in the ER, but he’s since made a full recovery and is now enjoying life as a therapy dog. If you suspect your dog or cat has ingested an over-the-counter painkiller, take the situation seriously. Contact your vet or local animal emergency clinic immediately. How do I know my dog is in pain? You know your dog better than anyone else; sudden changes in activity level or interest are warning signs something is going on. Avoidance of favorite activities like walking or playing fetch can indicate an unwillingness or inability to exercise due to pain. If a normally friendly dog becomes snappish or constantly grumpy, that’s another red flag. It can be difficult to determine when to take your dog to the vet – it isn’t cheap, we know – but catching a potential health issue early gives pets the best possible outcome. What causes pain in dogs? The root of a pet’s pain is not always immediately apparent. While in some cases the cause may be obvious – a broken limb or post surgery – most of the time the animal is suffering in silence. Pay attention to any changes in your dog’s behavior, especially in senior pets and after medical procedures. Some pain in dogs appears only after certain kinds of activity, like hiking or high intensity exercise, or as a result of actions like eating or going potty. Chronic pain: Degenerative diseases like osteoarthritis and degenerative myelopathy, which affects the spinal cord, are more likely to arise in senior dogs and can be very painful if left untreated. 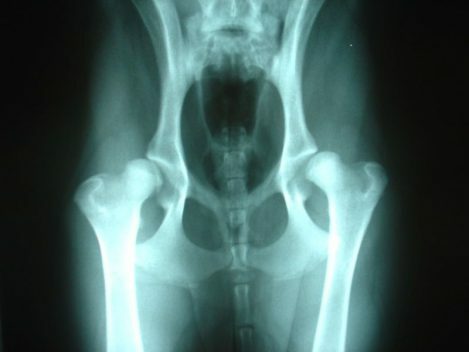 Dog hip pain is the most common type, frequently caused by canine hip dysplasia or arthritis. Intervertebral disc disease (IDD) occurs more often in certain dog breeds, like Dachshunds and Shih Tzus, commonly known as a “bulging” or herniated disc. Acute pain: In addition to incident-related injuries or broken bones, internal pain can be acute and needs immediate vet attention. For example, stomach pain can indicate a serious medical condition like peritonitis, an infection of the stomach or intestines caused by a puncture (chicken bone splinters and swallowed objects are common culprits). 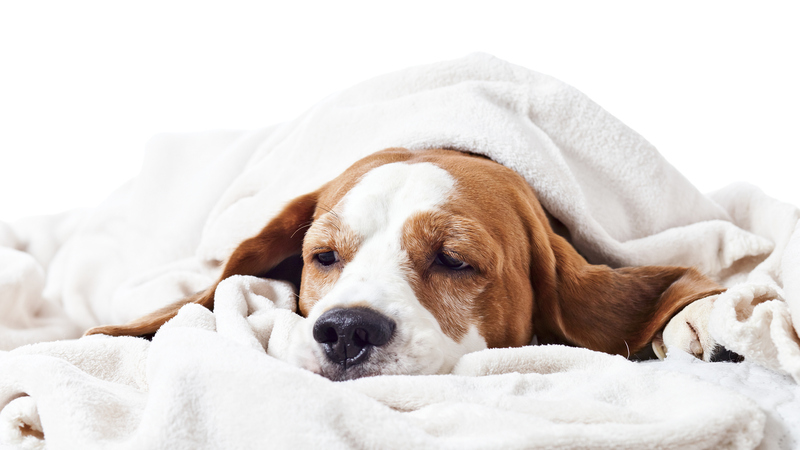 A stomach virus, or enteritis, can also be to blame, caused by parasites and worms in dogs. Tumors and some types of cancer in dogs can also lead to stomach pain as the disease progresses, so catching cancer early is of utmost importance. Can I treat my dog’s pain without medication? Exercise: To help with daily, chronic pain from arthritis and aging, daily exercise helps to keep limbs flexible and limits pet obesity (extra pounds put pressure on weakened joints), however sometimes an animal isn’t physically able to partake in the daily run around the park. Hydrotherapy has been extremely beneficial for pets as warm water helps to soothe swollen joints and enhance circulation without gravity. 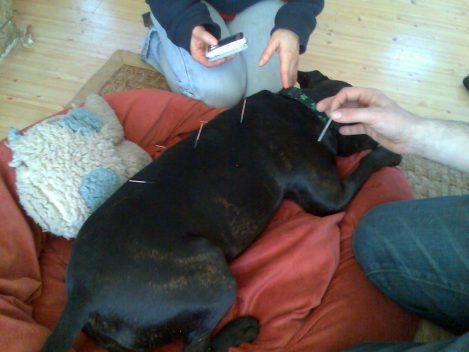 Acupuncture has also been noted to treat pain and inflammation in dogs, promoting circulation and muscle relaxation by inserting needles at areas of the body where nerves and blood vessels meet. Other options: Pups can also find relief in massage and chiropractic services, as well as laser therapy, which is a relatively new treatment that speeds healing of surgical incisions and wounds. It also has been proven to help assuage pain from arthritis and residual pain from fractures or damaged nerves. Create a treatment plan with your vet that you and your pet are comfortable with (some pets refuse to take medication and others can be terrified of acupuncture). Healthy Paws covers alternative care such as acupuncture, chiropractic therapy, and hydrotherapy, as long as the procedure is performed by a licensed veterinarian. Enrolling your dog in pet insurance early on, before any problems occur, is the best way to be prepared for an unexpected accident or illness, and allows you to pursue the best treatment available without having to worry about the cost. What about supplements or CBD oil? CBD oil, however, has been making headlines of late as helping alleviate pain, discomfort, increase appetite, and help with anxiety in pets, so asking your vet is a good first step. Check out our article CBD Oil for Cats & Dogs to find out more about how it works and what pet-friendly brands are out there. 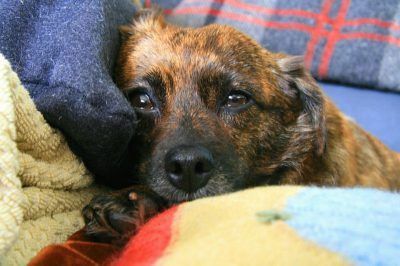 Your best bet for a dog in pain? Take them to the vet. Healthy Paws processes hundreds of claims for pain – it was on of the most common claim for dogs in 2018. Diagnostics can range anywhere from $150 to $4,500 while treatment varies just as widely, making pet insurance a sound investment for those unexpected accidents and illnesses. To be able to say “yes” to treatment and save up to 90% on vet bills, start by getting a free quote.